Theologian and writer David Cunningham draws from novels, poems, and plays to give a resource for humans who face suffering, death, and new life. 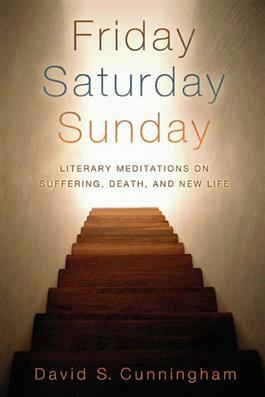 He provides a religious reading of important literary texts, with three studies for each of the three themes--drawn together by the weekly sequence of Friday-Saturday-Sunday and the events of Good Friday, Holy Saturday, and Easter Sunday. These reflections on universal experiences are enriched by Cunningham's presentations of Christian perspectives which are significant resources for dealing with grief and pain, separation and absence, and transformation and renewal.